How important is cash flow to your dealership? And how important is it for your customers to have an efficient, high-end, and brand-consistent transaction experience? Both questions are impacted by how your dealership incorporates e-contracting into its F&I process. E-contracting is used in multiple ways in the industry, but is always a benefit to the bottom line. The smart way to achieve faster deal-funding is to use e-contracting during the financing process by streamlining behind-the-scenes practices. Additionally, e-contracting creates efficiencies in the F&I process that result in a net savings of time, work, and expenses while improving the customer experience. 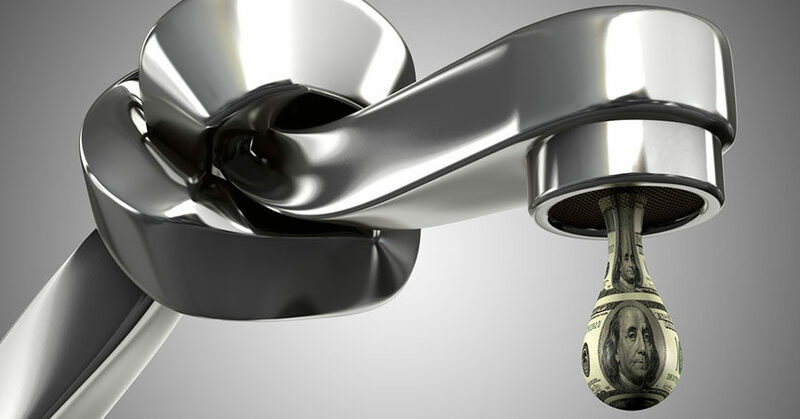 For any company, cash flow is oxygenated blood, the liquidity that fuels daily operations. Dealers can directly improve cash flow by getting deals funded more quickly through e-contracting. When loan funding happens in hours (if not minutes) rather than days, that cash is in hand for energizing the business, or paying down the floor plan interest expense. E-contracting also eliminates the need for, and cost of, printing and shipping paper documents. E-contracting can save dealers a lot of money. For example, in a real dealership example, based on 2,070 eligible contracts handled as an e-contract, deals were funded on average 4.5 days faster than before, saving nearly $22 in various costs per deal because of it. Across the number of deals done a year by this dealer, the savings was more than $45,000. In another real-world example, a large dealer group retailing 110,000 vehicles per year using e-contracting saved more than $600,000 in floor plan interest expense and document-shipping costs. A faster deal-funding process also means that dealerships can deliver a more seamless—and typically error-free—transaction for customers during their loan process and in the F&I office. Whether for rapid loan funding or aftermarket product sourcing, digital contracting saves the dealer resources. In 2017, one of our major OEM clients e-contracted more than 1 million deals. The F&I presentations for those deals were performed 15 minutes faster on average when using e-contracting processes, resulting in substantial impact in F&I, including reduced paperwork handling and more time for other business activities. “You have to be more efficient in the F&I process, and e-tools let us cut the paperwork and take at least 20 minutes out of the F&I process, so we’re now delivering a car within 30 minutes or less, and as we have, our CSI has gone up,” notes Drew Fitchet, president of North Penn VW-Mazda in Colmar, Pennsylvania. Given today’s culture of speed and technology, F&I processes must take advantage of tools that enable dealers to reduce customer time, paperwork, and back-and-forth in this final phase of a purchase. As these benefits of e-contracting become better known to dealers, more are adopting the technology, but Brad Rogers, chief operating officer for RouteOne, says just half of the nation’s dealerships use e-contracting. Rogers said e-contracting also gives dealers the ability to integrate aftermarket products into the e-contract, eliminating the need to print additional forms. “When you complete these steps electronically, you just need to hand your customer a tablet or signature pad for a single signing ceremony that is quick and painless,” he adds. With the electronic submission of contract details to administrative and insurance companies—and integration capabilities with internal accounting departments—this system has checks and balances to validate and verify contract information. The F&I associate at the dealership is not incentivized to use e-contracting, even if it has been installed and lenders spiff the dealership. The dealership culture is reactive, not proactive, making progress and change difficult. Some dealers are spiffing their F&I staff per e-contract or adjusting their pay plans to encourage e-contracting use. Others are charging the costs associated with traditional contracting back to their F&I employees to promote better e-contracting utilization. Complete e-contracting is a real-time, dynamic system designed to deliver a comprehensive F&I experience from the point of sale to remittance. It also helps find and organize contracts to maintain security and reduce redundancies. An e-rating function to ensure error-free rating for specific rates within the F&I platform. 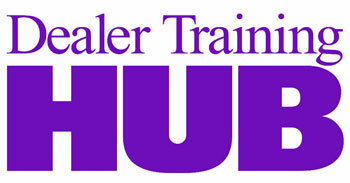 This system also provides for customized price presentations and overrides at the dealer level. An e-signature function, which complies with the Uniform Electronic Transactions Act and Electronic Signature in Global and National Commerce Act, ensuring each signature is unique, is under the sole control of the signer, has not been tampered with, and can easily be authenticated. An e-register to eliminate costly human mistake and avoid misplaced, misprinted, or discarded contracts. E-contracting and other digital workflow tools better engage customers and improve the F&I experience. E-contracting also offers real benefits that customers will appreciate. Consider the perspective of customers who have watched high-end car commercials, browsed your website, driven into your automotive “palace,” and been treated to a smooth, guided shopping experience, then had their experience disrupted with a manual paper process that feels like a musical performance going off-key. Wherever an element is missing, all of the buildup to the crescendo begins to dissipate. When this happens, the impressions of modern convenience and efficiency you want to convey hit a noticeable snag. Paper F&I processes might have been passable a few years ago, but customers now know when they are being slowed down. In fact, they expect the process to be digitized by now; after all, other businesses have done it. Digitizing your process and eliminating paperwork has massive benefits to your dealership that give you more control and options. From happier customers to enhanced F&I processes to improved cash flow from faster funding, e-contracting dramatically benefits dealer operations. Isn’t it time to enjoy the benefits e-contracting offers to your dealership? Can independent dealers use e-contract when flooring a car thru a flooring company?